Simply rotate the wrist slightly so that the watch's screen illuminates with an LED. 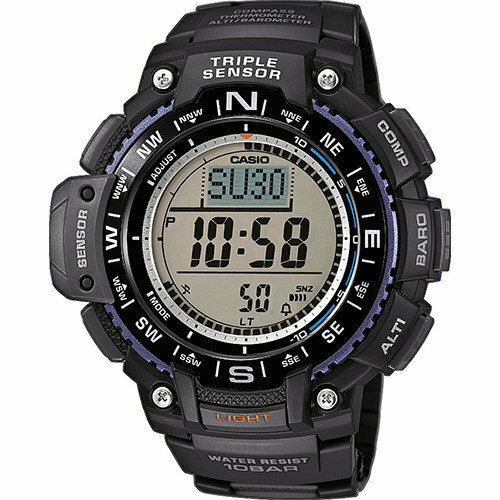 The watch withstands temperatures down to -10 ° C.
A special sensor measures the atmospheric pressure (measuring range: 260/1100 hPa) and displays it through a symbol on the screen. This allows detection of weather trends early. The watch has a sensor that measures the ambient temperature and the sample in degrees Celsius (-10 ° C / + 60 ° C). After entering the geographical position, you can view the sunrise and sunset times for any date. The built-in direction sensor detects magnetic north. A pressure sensor detects changes in atmospheric pressure and transforms this data into height indications of up to 10,000 m.
With the sum of heights, you can add all the meters you have climbed. This function allows you to see at a glance the total height difference that you have overcome during a tour. Accurate measurement of elapsed time with the touch of a button. 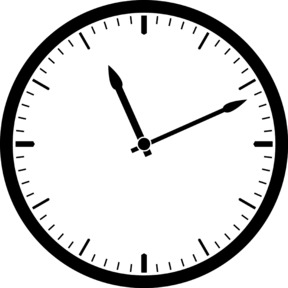 The fraction indicates the unit of measurement, while the time figures indicate the maximum measurements of time. For all those who demand precision: the countdown timers are very useful when remembering special or periodic events, since they emit an acoustic signal at the programmed moment. They can be configured by seconds or even with the time in advance. Each time for the alarm, it sounds again after a few minutes. If desired, it is possible to deactivate the sound of the buttons with the Mode button. Once deactivated, the watch will stop beeping when changing from one function to another. The configured alarms or the countdown timer are still active after deactivating the sound of the buttons.